I still enjoy "Simply in Season." I am reading "Ad Hoc at Home"
A tie between the timeless classics that live on my counter: Fannie Farmer and Joy of Cooking. Always helpful. I would love to be original but I'm still excited each time I use Jamie at Home. The results are always wonderful. Every Christmas I pull out my Judith Comfort Christmas Cookbook. My sister bought it for me over a decade ago and it's been a faithful favourite every year. Jamie's Ministry of Food (not sure what the North Amrican version is called) is a constant go-to for us at home! I am loving Baked Explorations! I've been going back to basics with my big Better Homes and Gardens cookbook. Possibly the first I ever bought... or was gifted. I don't recall, it was so long ago. I'm reading the Top Chef cookbook. Good stories and recipes from previous seasons. I've had a Williams Sonoma cookbook for years called "Eating by Color" that I love... 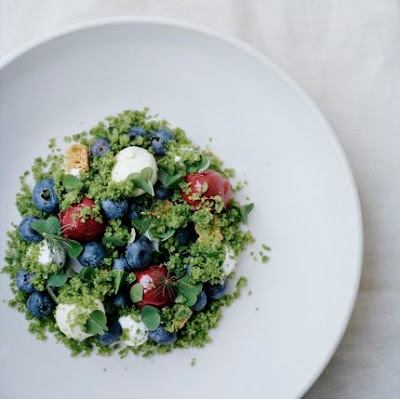 It groups recipes by the color of the ingredients, so recipes with main ingredients like purple potatoes and blueberries are in one section while broccoli, spinach, and green apple recipes are in another. But I always love adding more cookbooks to my collection! I can't get enough of Shirley Corriher's Bakewise. I recently made her pound cake, something I've never really enjoyed (always dry) and fell in love with baking again. At the moment it's got to be Nigel Slater's 'Tender'. The cookbook I am currently enjoying is The Sweet Kitchen. I love the cookbook, "From Asparagus to Zucchini." It helps with our CSA box! Skimmed through Donna Hay's Modern Classics last night looking for baking inspiration. I am in the middle of reading Mark Bittman's How to Cook Everything Vegetarian. I am learning so much about the act of cooking itself, and I'm loving a vegetarian cookbook that doesn't just revolve around tofu (no disrespect, tofu, but there is more out there). Those are three wonderful books! Here's hoping! It's Christmas, so I'm deep in my grandmother's copy of the 1947 " Recipes" by the Evangeline Chapter of the I.O.D.E. This is a book that has recipes with instructions like " beat until creamy" or "add enough icing sugar to make the right consistency". That last one is from Mrs F Scott. Bless her. Almost all of the recipes have the name of the contributor in modest italics. 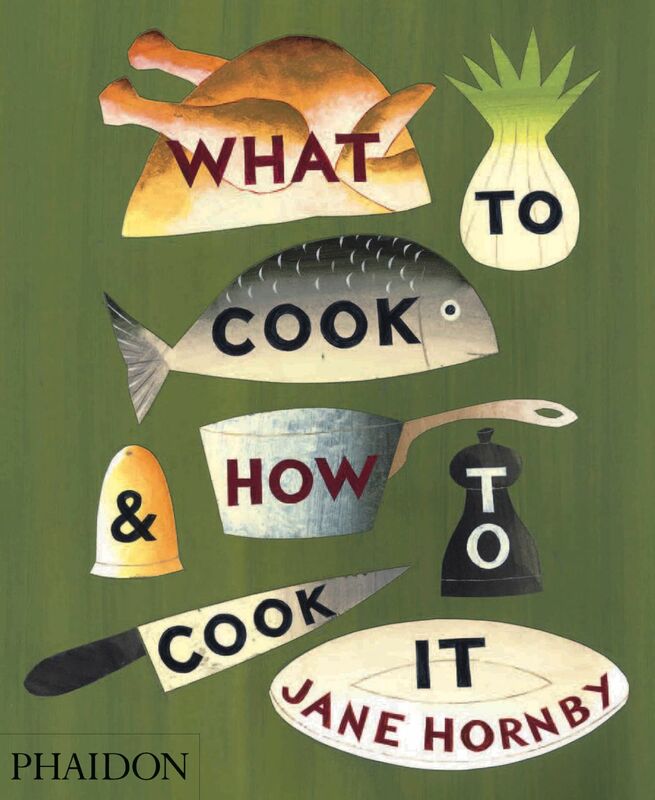 Is it boring to say I still love flipping through "How to Cook Everything"? Because that's my answer. Though last night I was at a friend's house and enjoying her Alice Waters' "The Art of Simple Food," and it looks right up my alley. Very nice books! Right now I am enjoying my latest acquisition:The Taste of Africa, recipes from this entire mysterious continent! All my cookie books, considering the season. The All-American Cookie Book has some great recipes. Right now I am enjoying Martha Stewart Cookies. Tis the season for cookies. I have the newest Ina Garten Barefoot Contessa cookbook and there are a number of recipes that look wonderful and I have actually tried out a few already and they are delicious. I'm revisiting Madhur Jaffrey's Indian Cooking and finding more dishes I need to make soon. i love cooks illustrated 'best recipe cookbook' and I always enjoy bon appetit, fast fresh easy for great dinners. I am currently enjoying the Pioneer Woman cookbook. My daughter would LOVE that first cookbook!! Right now I am reading "Cookwise" and picking out some recipes to try. It combines food and science. I am thoroughly enjoying Nigel Slater's "Tender" for his sumptuous photographs and wonderfully written prose about vegetables. For weekday dinners Michael Smith's "Chef at Home" is a new go-to favourite for salads and Canadian comfort food. I have really enjoyed every recipe I have made from "A Homemade Life". A gift from my mom. :) Good Housekeeping's "The Great Christmas Cookie Swap Cookbook". My current fave is "Pie in the Sky" a high-altitude baking cookbook, but am also loving Friday Night Dinners. Just checked out Feeding the Healthy Vegetarian Family by Ken Haedrich from the library. We are not exclusively vegetarian, but I love the variety of fruits and vegetables that vegetarian cookbooks use. I'm reading Pam Andersons cookbook and I'm loving it! What a wonderful giveaway! I loved your review of all of your top 10 from "Simple Bites." 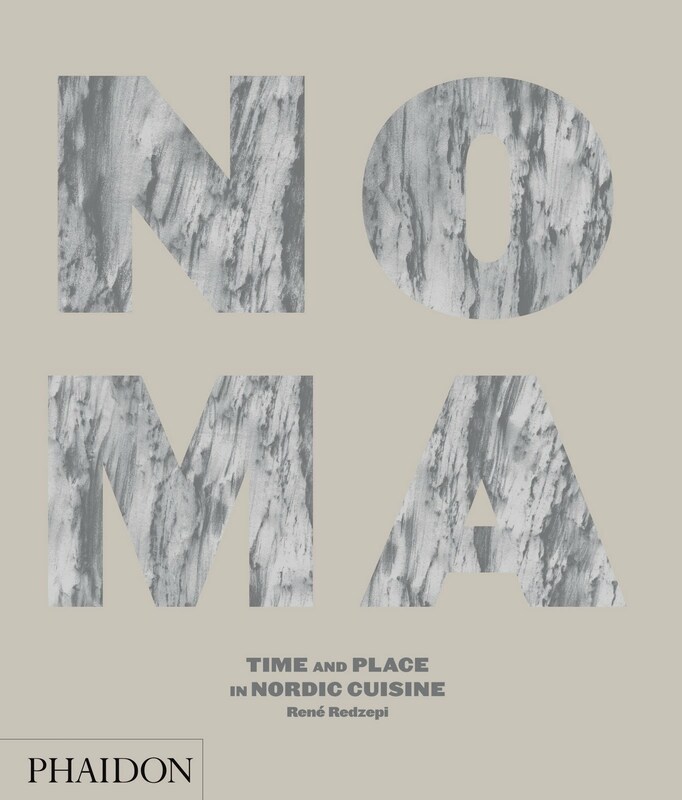 I want NOMA. I'm currently enjoying "The Flavor Bible." Does that count as a cookbook? Because it should. Just made stew from "Tyler's Ultimate" . . . always a winter favourite of ours. I'm also slowly getting through "The Flavour Bible". Whew - what am I not enjoying right now with Christmas almost upon us? I find myself going back to Josee di Stasio's "A la di Stasio" for her easy but elegant recipes - great Can-con to boot! We are slowly working our way through Rick Bayless's "Mexican Everyday" and our friends just GAVE us their extra copy of Ina Garten's "Barefoot Contessa Family Style," so we have amunition for the winter. 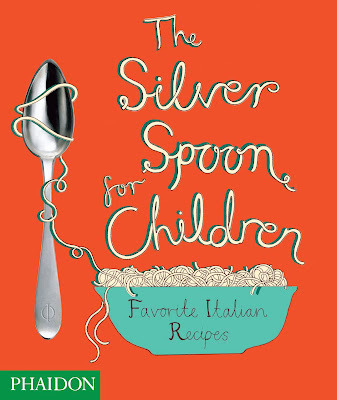 That Silver Spoon for kids looks so awesome! I have been reading and cooking from The Best of Chef at Home (by Michael Smith), Jamie's Food Revolution (by Jamie Oliver), and Fresh with Anna Olson (by Anna Olson). I LOVE the chocolate chip cookie recipe from Michael Smith's cookbook, the Fish Pie Recipe from Jamie Oliver's cookbook, and have been drooling over the beautiful photographs in Anna Olson's cookbook! I am enjoying Dorie's-Around the French Table. Thanks for the giveaway - these cookbooks look GREAT! I am enjoying the Pioneer Woman's Cookbook right now...love the stories and pictures as well as the recipes! Well, I have found I really really love getting ideas from food blogs - like yours! I have learned a lot since stumbling on your blog 2 years ago. Keep up the great work and thanks so much for sharing!! I feel like I haven't read a great cookbook for a while now! Mostly just gotten my recipes from blogs, lately, it seems. I still go back to the Joy of Cooking from time to time. I also love French Feasts. The photography alone is gorgeous. I am currently baking my way through "Baked Exporations: Classic American Desserts Reinvented". I must say it has been fabulous so far, as was the orignal "Baked: New Frontiers in Baking" cookbook from last year. I have to admit that for the last while I've been getting my recipe fixes off the net. My main go-to book that is out weekly is and has always been Better Homes and Gardens, I use it for all my basic, just like my mom. I'm reading through "Made in Spain: Spanish Dishes for the American Kitchen" - some of the best food photography I've seen in a long time, and I'm loving the novelty of some of the recipes. I'm currently enjoying the Real Food Daily cookbook. The wasabi vinaigrette, in particular, is proving to be very versatile! 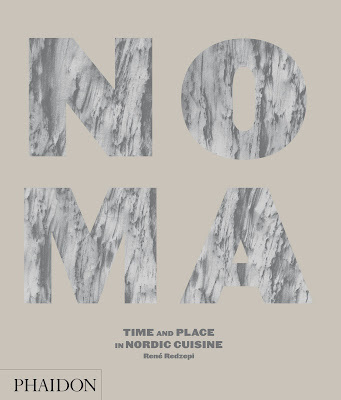 I am THRILLED to know that the Noma cookbook exists. You have made my day. My current scandinavian cookbook with the most sticky notes attached to it is "Scandinavian Feasts" by Beatrice Ojakangas. Such a great giveaway! I'm currently enjoying this really old cookbook my dad found for me at a yard sale. I'm not sure of it's name. I love it because it has so many old recipes that you do not see anymore. These look great! Im reading cooking light! I'm working my way (out of order, with a lot of repetitions...) through Mark Bittman's How to Cook Everything Vegetarian. Southwestern mixed vegetable soup is the most warming, hearty, delicious winter dinner ever! whitwater cooks and good to the grain are in heavy rotation over here. A World of Cake by Krystina Castella — it's beautiful and very educational for the kids... a cake for every country in the world! I'm currently focused on "Cookies," the author of which sadly escapes me at the moment. 'Tis the season and all that! I am LOVING Ina Garten's new cookbook right now. Lots of easy appetizers for the holidays! I love cookbooks and these look wonderful! I am reading One Big Table: A Portrait of American Cooking. Even though I am not American, I will be adopting some of those wonderful unsung recipes! I am really loving Nigella Lawson's "Feast"...always good at this time of year. I like this cookbook my mom n law made for us. Also, recipies from the internet and this cupcake cookbook I have! I love all of my Best of Bridge cookbooks. My sister and I talk frequently about your site and how we've never tried any recipe of yours that was distasteful...NO! On the contrary, as much as I love my cookbooks, "under the high chair" has become my latest cooking inspiration. It's where I go for what-to-cook-now. Thanks!! Somehow I ended up being "anonymous"...anyways, I've been using your website as my newest "cookbook"! LOVE everything I've tried. I am (re)reading How to Eat by Nigella, and occasionally taking a break to read Nobody Does it Better by Trish Deseine. I gotta say, my mainstay and most dog-eared cookbook is Bittman's How to Cook Everything so that's the one I pull off the shelf almost every day. I haven't gotten a new cookbook in ages. So obviously I'm need of a new one! I do love my allrecipes one though. My current bedside companion is The Flavour Thesaurus. It's so fascinating how they've listed 99 flavours and then made over 4,500 flavour pairings. Some so unfathomable! I'm pretty sure its on its way to become a classic. I like Nigella Kitchen: Recipes From the Heart of the Home, by Nigella Lawson. She always has gorgeous photos in her books. Great contest and site, by the way! I recently picked up Quinoa 365. LOVE quinoa! I do wish there weren't so many quinoa flour recipes though, and more good ol' grain! I'm enjoying learning about bread: The Bread Bakers Apprentice. Bread is impressive, even when not perfect! I really hope I win this because I seriously want the kids cookbook so bad. Currently I;m enjoying Crazy About Cookies by Krystina Castella. So good! I've been using recipes from "Talk About Good", my old standby Cajun cookbook. Oh my, you're giving away NOMA?! :-) I am currently enjoying 'Ready for Dessert' by David Lebovitz. i`m enjoying " paris sweets " by dorie greenspan, which a friend gave to me. looooooove cookbooks and these all look great. Great idea, I love cookbooks and giveaways! Currently, I am dealing with "Pastry" by Michel Roux. I'm loving Everyday Harumi: Simple Japanese food for family & friends by Harumi Kurihara and Sue Hudson. Gorgeous pictures, great directions, and simple but tasty recipes. We haven't been out for Japanese since! Even my 5 yr old daughter enjoys some of the recipes (which is a miracle in itself). I love The grand central baking book, it has the best recipe for artisan style pizza crust in it. I'm enjoying Picture Me Cooking... a kids cookbook with a creative twist! I most frequently turn to "Joy of Cooking" or a little cookbook from a community in WA (Holden Village): "Lavish Simplicity." I got Jamie Oliver's 'Jamie's Food Revolution' for my birthday and we're currently enjoying cooking out of that. My kids went through and picked out recipes to try. Its about the third or fourth time I've pulled it out this year, but I'm still enjoying Caprial's Bistro Cuisine, an old book I've had for years. I was sitting in the lobby and my son's speech therapist's office reading it just yesterday. Not sure if this is open to Canadians since you didn't specify, but if it is, please enter me. I am currently enjoying One Pot Cooking by Kate Bishop. Lots of great recipes. Currently on my coffee table: Mangoes and Curry leaves by Alford and Duguid. Thanks for this great giveaway. My whole family enjoy these books. Now i'm enjoying "Kitchen" from Nigella Lawson.It´s amazing and as lot's of good recepes.I love the way she makes cooking so simple and entertaining.. I bought the first volume of "Mastering the Art of French Cooking" for a quarter at a garage sale and I'm having fun perusing its pages. The Pioneer Woman cookbook--trusty stand by's time and time again! I am planning to cook a lot from All about Braising, Molly Stevens. I am making lots of recipes from Jaime Oliver Food Revolution. Read your blog regularly. The cookbook called, "trying to empty my fridge and pantry before going away for the holidays." keep up the great work. I have to say, due to the season I am enjoying Sugar: Simple Sweets and Decadent Desserts by Anna Olson. And the Joy of Cooking..I recently just purchased it and am loving it immensely. hello! i'm still enjoying nigel slaters "tender" :) please count me in! I have dozens of cook books and I'm reading a really interesting one from the library by two Quebec nutritionists, but what I'm reaching for most often is a self published cookbook that my parents made for all of their children for Christmas a last year. 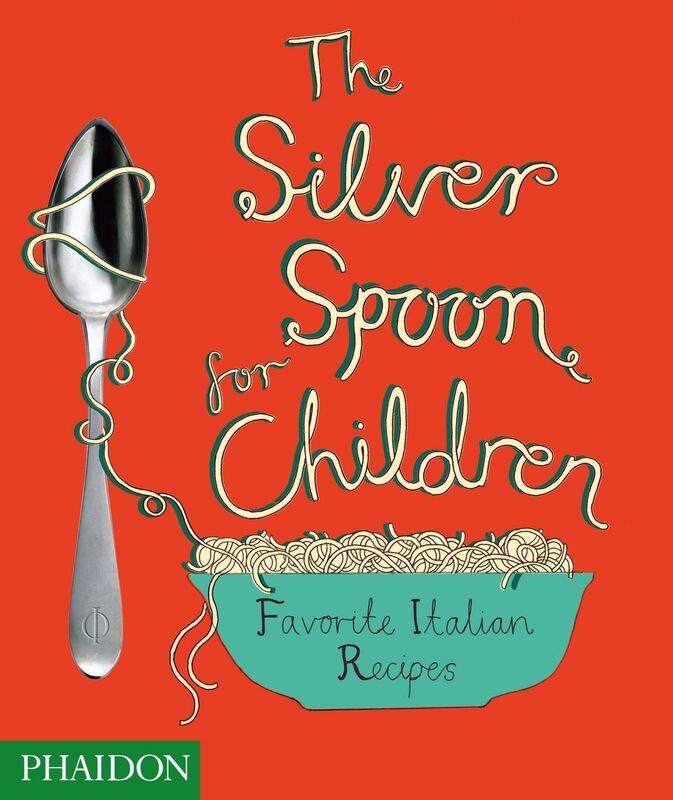 It has all of our favourite dishes from when we were growing up along with absolutely hilarious stories from our childhood. My favorite cookbook right now is one that I got from a Christian camp in Tennessee. It's called A Recipe for Life, and it has lots of easy fun recipes for busy moms! The Barefoot Contessa cookbooks helped me make a delicious Thanksgiving! I am currently using Food Revolution from Jamie Oliver a lot! I have yet to fail a recipe from that book! I'm hooked into Martha Stewarts Holiday Cookies! perfect timing right? Happy Holidays! I haven;t had a good new cookbook since LAST CHRISTMAS! This is totally unacceptable - I'll definitely not let that happen again next year. I am going through The Comfort Table by Katie Lee Joel. The Essential Book of Jewish Cooking - some great recipes in there even if you don't celebrate Jewish holidays. Got "The Pioneer Woman Cooks: Recipes from an Accidental Country Girl" as a gift for a family member, but can't help myself from sneaking a peak first. Would love some books of my own! I still turn to "Bill's Food" by Bill Granger when I'm in the mood for tasty yet simple dishes. My cookbooks are more magazines at the moment. Taste of Home is always a favourite but I do have Anna Olson's "Sugar" and "Fresh" cookbooks and I love them! Wow! Great giveaway. I'm actually reading through some real old ones but I am hoping to read "Hooks, Lies and Alibis"
I'm currently re-reading Molly Wizenberg's "A Homemade Life." I am currently enjoying my Cooking with Trader Joe's cookbook. It's nothing fancy- just simple dishes that look elegant! Ahhh= beautiful books! Count me in. A current favourite cookbook I'm enjoying is Donna Hay's " Off the Shelf"
Delving into Gluten Free Girl & The Chef!! I am going to perfect AT LEAST ONE of these recipes & it was just named on one of the NY Times best cookbooks of the year! Cuppa tea and a cookbook on a winters day = nothing better. We've a tie between Canadian Living's The Slow Cooker Collection and Martha Stewart's Cookies. Love the ease of slow cookers, and need the cookies now, for the holiday season. Thanks, Aimee! I've been enjoying Lucinda Scala Quinn's "Mad Hungry" for about a year now. Fantastic recipes that my husband and four boys (and I) absolutely love. The last book I read and cooked from was Gluten Free Girl and the Chef. I've been using a local cookbook a lot lately: Centre County Amish Cooking. It has some great, simple recipes. The Southern Foodways Alliance Community Cookbook... a great project from a great organization! I have been enjoying "The Art of Simple Food." My fingers are crossed!